The Levels differ in the amount of involvement and the stringency of the requirements to earn the certification or award. Who it is for: The Basic Level welcomes any church who wants to become more environmentally friendly to participate. It is designed to be readily achievable and to provide support as you get started on the path towards becoming an ecologically friendly church. Method of completion: This Level is completed with the help of the support kits, and personal assistance can also be requested if needed. To receive the Basic Certificate the church must complete all areas of the basic Level. Who it is for: The Advanced Level is only available to churches that have received the Basic Certificate and want to go further. It is designed for dedicated churches who really want to make a difference in their communities as well as their churches. Method of completion: Churches completing this level will be given personal support and advice from the Five Leaf team throughout the whole process. There are five levels in total that can be completed; however there is no obligation to achieve all these awards. Prize: Completion of an area in this Level results in receiving a prestigious “Leaf Award”. Each leaf award recognises an increasing level of achievement up to the “Five Leaf Award” which is the pinnacle of the program. You must complete all the requirements in the following areas to obtain your Basic Certificate. Obtain the Basic Eco-Awards Support Kit by emailing fiveleafecoawards@gmail.com and the kit will guide you through the process. Measurement: Show the auditor which three energy reduction measures you have implemented, and evidence of the two behaviour change campaigns you have run. Outline: Conduct a service of worship around the environment. Resources can be obtained from: www.seasonofcreation.com. Measurement: Send in your order of service. Outline: Promote and provide at least two resources for members of your church to take action in their own lives outside the church. Further tips, ideas and notices of events can be found in your Eco-Certification Introductory Kit. Measurement: Send in copies of at least two resources provided to your congregation. Tips in a church notice sheet can only count once. - Organise a meeting of church representatives to visit your local MP on an environmental issue. Ideas and resources can be found in your support kit. Measurement: Send in a record of your event. Outline: For churches who demonstrate particular commitment to working towards being sustainable or eco-friendly. A sustainable church is one who uses resources to meet their needs in such a way that future generations will not be disadvantaged in meeting theirs. An “eco-friendly” or “green” church is one who goes beyond the pursuit of sustainability, and adopts an ethos of caring for creation, not just preventing and mitigating human impact. For example, an eco-friendly church might provide habitat for wildlife and assist in restoring ecosystems or build a community garden. Measurement: Send in an outline of your project or demonstration of your commitment. 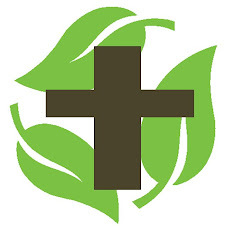 Email fiveleafecoawards@gmail.com when you wish to begin the Advanced Eco-Awards program and when you decide which area your church will complete next (Eco-Church Buildings, Eco-Worship, Eco-Congregation and Eco-Outreach) to obtain the Five Leaf Award Introduction Pack and the support kit for each Leaf Award. One Leaf Award will be gained for completing any of the first four categories of the Advanced Level: Sustainable Church Buildings, Green Worship, Ecological Congregation and Ecological Outreach. There are two components to this award. Firstly, you must meet the following reduction targets. Secondly, you must demonstrate at least four campaigns targeted at creating behaviour change in your congregation’s activities at church. Reduction targets and behaviour change will be measured against their baselines (behaviour set in survey at the start of the program and resource use set in audit at start of Sustainable buildings/property Advanced Leaf Award). · Electricity Use - 30% reduction to earn the award, then an extra 10% reduction every two years to keep it. · Gas – 10% reduction to earn the award, with continuing decrease. How you meet these targets is up to your church. Refer to your support kit for ideas and information. · Submit your initial audit and new audit demonstrating all the reduction targets have been met. · Submit posters, flyers or other resources used in creating behaviour change. To be certified the church must provide evidence of at least 10% of their congregation switching to green power or installing alternative energy sources in their homes. They must also demonstrate moves by the congregation to share food or possessions (clothing, books), to commit to ethical consumption and production practices (purchasing of fair trade products or other ethical brands, growing your own food and making your own clothes) and to reduce the environmental impact of their travel to and from church. The church will establish a “Green Book” in which members of the congregation can record their environmentally friendly decisions and actions. This will then be submitted to the auditor to assess qualification for the Leaf Award. Churches are also encouraged to invite members of the congregation up to give their testimonies of the green actions they have taken during the church announcements. To be certified the church’s outreach programs must be as ecologically friendly as possible (and demonstrate the steps taken) and they must have at least one environment focused outreach program. For example, if a church runs a soup kitchen they should endeavour to grow as much of the produce themselves as possible (either at the church or in members of the congregation’s gardens); or they should purchase environmentally friendly produce (locally sourced, organic or environmentally conscious production, free range, permaculture, Fairtrade or Rainforest Alliance). Some new outreach programs that the church could start include adopting a road or piece of bushland to maintain, participating in bushland restoration projects, assisting with waste management at the local market, holding sustainability education meetings for the community, leading or contributing to environmental political campaigns. The program does not have to be entirely new, but must be new for the church. 2. The church must submit a report outlining their environmentally focused outreach program, what it hopes to achieve, and how it is going so far. Five Leaf Award- the ‘Green’ Church. 3. Assist its congregation to generate at least 50% of their energy use via alternative energy or via sourcing green power. 4. Assist its congregation to travel to and from the church with minimal environmental impact. 6. Encourage ethical purchasing behaviour and have a system of food and possession sharing/recycling. 9. Demonstrate they are working towards constant improvement of their environmental performance. These requirements are designed to be challenging as this certification represents the highest level of achievement in this scheme. · The church must demonstrate the use of energy by their congregation and proof of the purchase of green power or renewable energy sources for 50% of this. · Food and provision sharing as well as ethical purchasing policies must be demonstrated to the auditor. · Impact on the community can be demonstrated by stories in local papers, public events held with attendance outside the congregation and statements by members of the community. · The church must submit a report of their plans going forward to improve their environmental performance.